PRINCETON, NJ; August 7, 2011—NRG Solar, a subsidiary of NRG Energy, Inc. (NYSE: NRG), and Eurus Energy America Corporation have begun commercial operations at the 45-megawatt Avenal Solar Generating Facility, the largest solar photovoltaic (PV) generating facility in California. When operating at full capacity, the three solar projects that comprise Avenal—Avenal Park, Sun City and Sand Drag—generate enough clean, renewable power to meet the needs of 36,000 homes, while creating as many as 200 new jobs in an economically challenged area. The facility, located in Kings County, was developed by Eurus and is owned jointly by Eurus and NRG. Power from the facility will be sold to Pacific Gas & Electric under separate 20-year power purchase agreements. 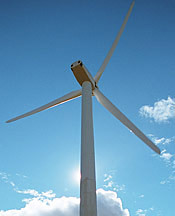 Eurus Energy America (www.eurusenergy.com) is the wholly owned subsidiary of Tokyo-based Eurus Energy Holdings (www.eurus-energy.com) and is responsible for North American renewable energy investment, now comprising more than 600 megawatts in wind and solar power generation. Eurus Energy Holdings is a global developer, owner and operator of renewable energy facilities, including both wind and solar, with more than 2,000 megawatts worldwide. Eurus Energy America, headquartered in San Diego, California, has been active in the renewable energy sector in the United States for over 20 years, beginning operations of its first renewable power projects in California in 1987. NRG Energy, Inc., a Fortune 500 and S&P 500 Index company, owns and operates one of the country’s largest and most diverse power generation portfolios. Headquartered in Princeton, NJ, the Company’s power plants provide more than 25,000 megawatts of generation capacity—enough to supply approximately 20 million homes. NRG’s retail businesses— Reliant Energy and Green Mountain Energy Company—serve nearly 1.9 million residential, business, commercial and industrial customers. NRG Solar LLC, a subsidiary of NRG, has more than 2,000 MW of photovoltaic and solar thermal projects under development or in construction across the southwestern United States. With major investments in solar and wind power, as well as electric vehicle infrastructure, NRG is working to help America transition to a clean energy economy. More information is available at www.nrgenergy.com and www.nrgsolarenergy.com. This news release contains forward-looking statements within the meaning of Section 27A of the Securities Act of 1933 and Section 21E of the Securities Exchange Act of 1934. Such forward-looking statements are subject to certain risks, uncertainties and assumptions and include NRG’s expectations regarding the Agua Caliente Solar Project and forward-looking statements typically can be identified by the use of words such as “will,” “expect,” “believe,” and similar terms. Although NRG believes that its expectations are reasonable, it can give no assurance that these expectations will prove to have been correct, and actual results may vary materially. Factors that could cause actual results to differ materially from those contemplated above include, among others, general economic conditions, hazards customary in the power industry, weather conditions, competition in wholesale power markets, the volatility of energy and fuel prices, failure of customers to perform under contracts, changes in the wholesale power markets, changes in government regulation of markets and of environmental emissions, unanticipated outages at our generation facilities, the inability to access other financing arrangements, the inability to implement value enhancing improvements to plant operations and companywide processes, our ability to create and maintain successful partnering relationships.